1) Made from premium cotton fabric. We use the highest quality cotton rather than fleece. Where fleece is fluffed up on the back side, we prefer the cotton rungs kept in place for a more fashionable and high-end feeling. 2) Seems like every brand is trying to add more and more to their outerwear, hoodies, and jackets. They want 30 pockets, headphone jacks, phone pouches, etc... but none of it is ever used in reality. We kept it simple: a pocket for your hands and a pouch for your things. 3) Unisex design. The jacket comes in sizes small, medium and large. We will contact you after you donate to collect your size and shipping address. 4) Fair trade. The best quality comes from happy workers. we chose to only work with production facilities that pay proper attention to fabric, their people and the process. 5) Sold direct. 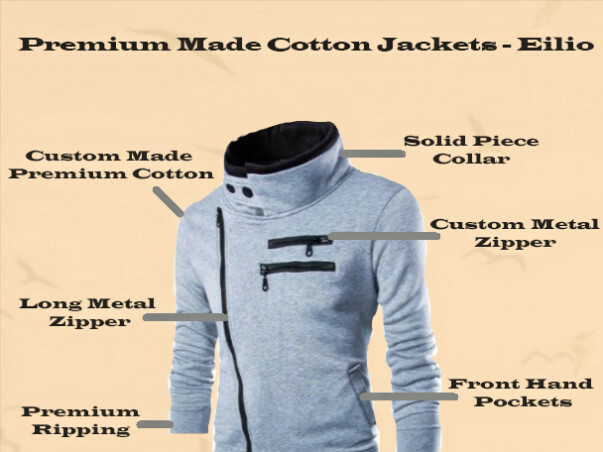 By offering our jackets directly, we are able to cut out the retail channel and offer you a jacket that would usually retail for 6500 INR at only 4500 INR. As soon as campaign ends we will start manufacturing and ship the products anywhere in the world by April 2017. We will send a survey to your registered mail ID as soon as we receive your payment to collect your size and shipping address. We set out to design a timeless and stylish everyday jackets. The eilio jackets redefines street style by presenting itself in a simple and modern construction. •Solid piece collar for good finishing. 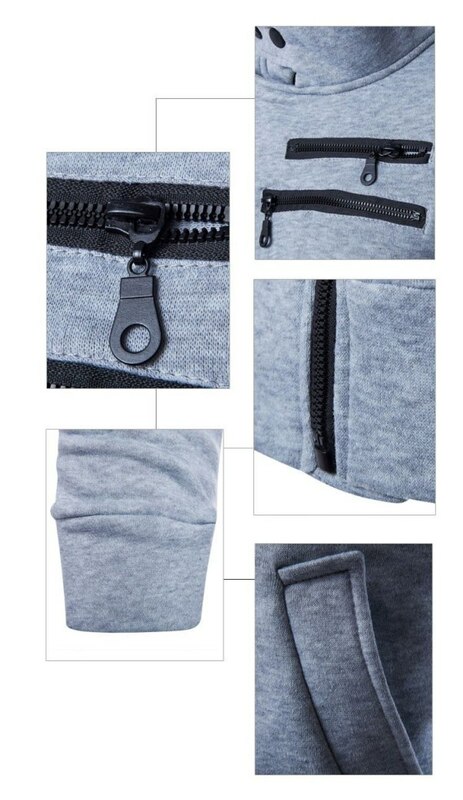 •Custom and long metal zipper. •Front hand double side pockets. Producing anything at high-volume can pose a number of problems, but we make sure to finish our product by April 2017. We are not starting from square one and we are confident to ship a jacket that will exceed all your expectations. We believe in transparency and communication. 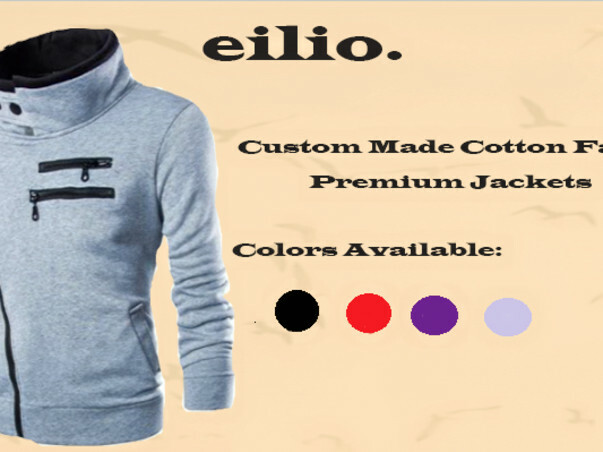 For any queries send a mail to hello@eilio.in we will get back to you as soon asap. We are using premium made cotton for durability and quality product. Check Rewards section for pricing and shipping details. We have made a decision to donate 2% of all profits from eilio to charity. We have selected charities which we have a genuine belief and interest in supporting. 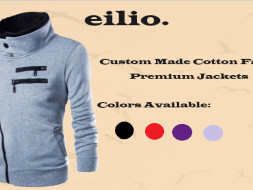 You will receive a Thank You email from eilio team. You will receive a coupon code of 600 INR to your registered mail ID to buy our product after launch at our website. You will receive a mail after the product is launched. You will receive a coupon code of 1150 INR to your registered mail ID to buy our product after launch. You will receive a confirmation mail after our product is launched. You will get a coupon code of 2200 INR to buy our product after launch at our website. You will receive a confirmation mail after the product is launched. You will get a coupon code of 3200 INR to buy our product after launch at our website. You will receive a confirmation mail after the product is launched. 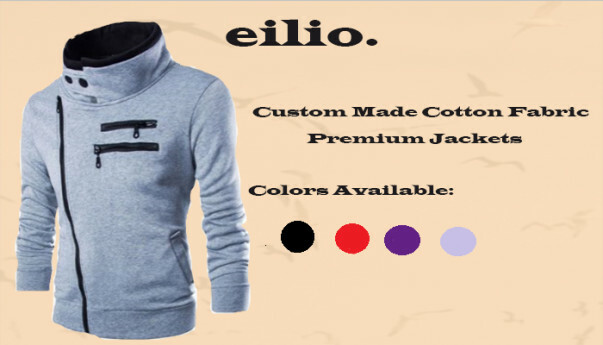 You will get one eilio jacket of your preferred color available.You will get a survey within 6 hours after making your payment to mention your preferred size, color and shipping address. This reward is available only for India. 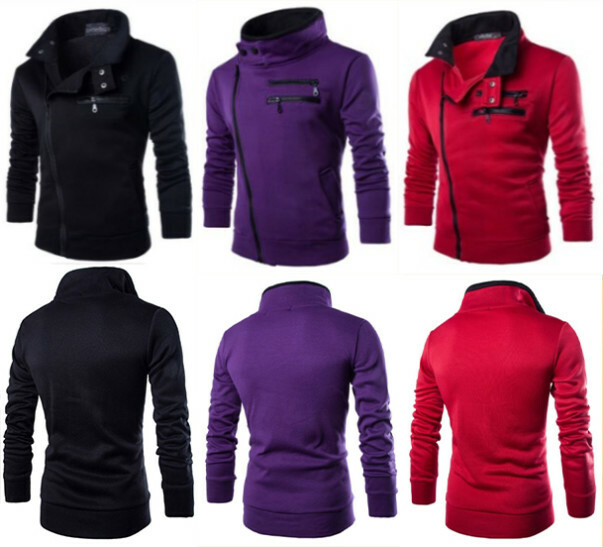 You will get two eilio jackets of your preferred color available. You will get a survey within 6 hours after making your payment to mention your preferred size, color and shipping address. This reward is available only for India. 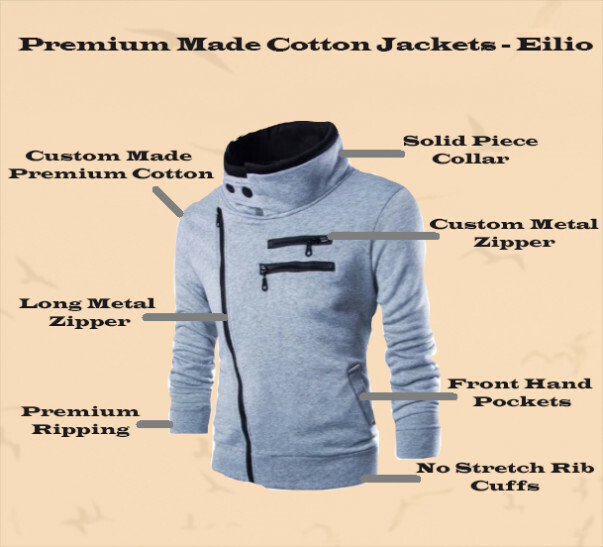 You will get one eilio jacket of your preferred color available.You will get a survey within 6 hours after making your payment to mention your preferred size, color and shipping. This reward is only for other countries(excluding India). Shipping cost of 700 INR included. 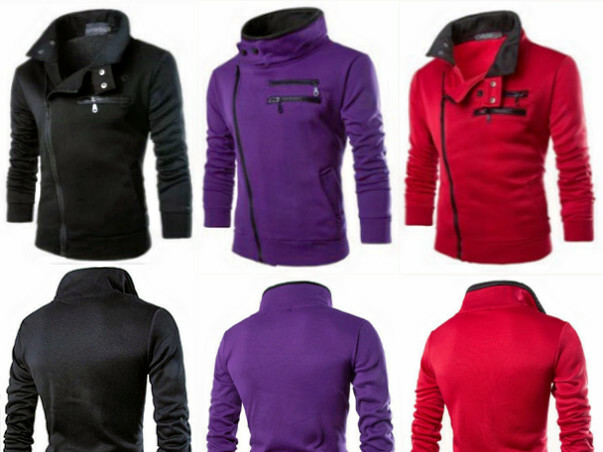 You will get two eilio jackets of your preferred color available. You will get a survey within 6 hours after making your payment to mention your preferred size, color and shipping address. This reward is only for other countries (excluding India). Please Donate with your preferred amount by selecting suitable reward, we will send survey to collect details of order. My heartfelt request you to extend your help in realizing my fathers dream. All your funds will be used for manufacturing the product by April 2017. Donate any amount possible and get discount coupon code to purchase our product at our website later on. If you select any of the reward to donate, you will get a survey to choose your preferred color, size and shipping address. We know everybody can’t donate. Please share this campaign on social media sites to extend your help. First 50 supporters who buy One Eilio Jacket will get One Eilio Hat + 500 gift voucher which can be redeemed on April 2017 at our website. First 50 supporters will get gift voucher of 500 INR which can be redeemed on April 2017 at our website.